Follow-ups and referrals are also provided by our team. These interventions all adhere to a very high degree of confidentiality. The CISM team is made up of specially selected and trained SAR volunteers from around the province. 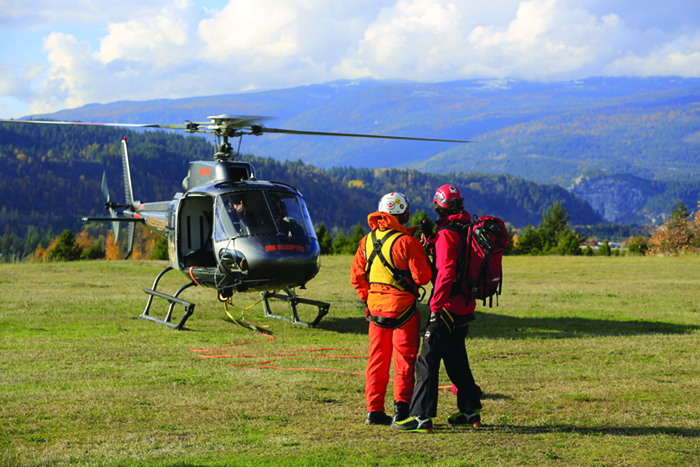 For this reason, team members know the dangers and issues that face SAR members and teams. Peers follow strict internationally accepted protocols in providing psychological first aid to SAR volunteers exposed to traumatic events. They are trained to recognize when the nature of the event and/or impact of that event on volunteers requires a higher level of care and will arrange for that care and encourage volunteers to take advantage of those services. Access to professional consultation may be provided through EMBC, under WorkSafe BC, when it is linked to a specific response task number. SAR management will often make arrangements early in a response to have CISM Program Peers available onsite at team assignment debriefs when it appears there may be an immediate need for individual or group interventions. CISM Peers may also be in attendance when a SAR Response Review is conducted. Any SAR volunteer can access the BCSARA CISM Program by calling the EMBC Emergency Coordination Centre (ECC) and asking to have a peer support person contact them. The service is at no cost to the volunteer and is strictly confidential. Critical Incidents are usually powerful events that have the potential to create significant, strong emotional reactions at the time of the incident or at a later time, overwhelming the individual’s ability to cope. The core focus of Critical Incident Stress Management (CISM) is to help relieve stress reactions in emotionally healthy individuals who have experienced traumatic events.